The flight returned to Brisbane airport an hour after being airborne due to a technical fault. 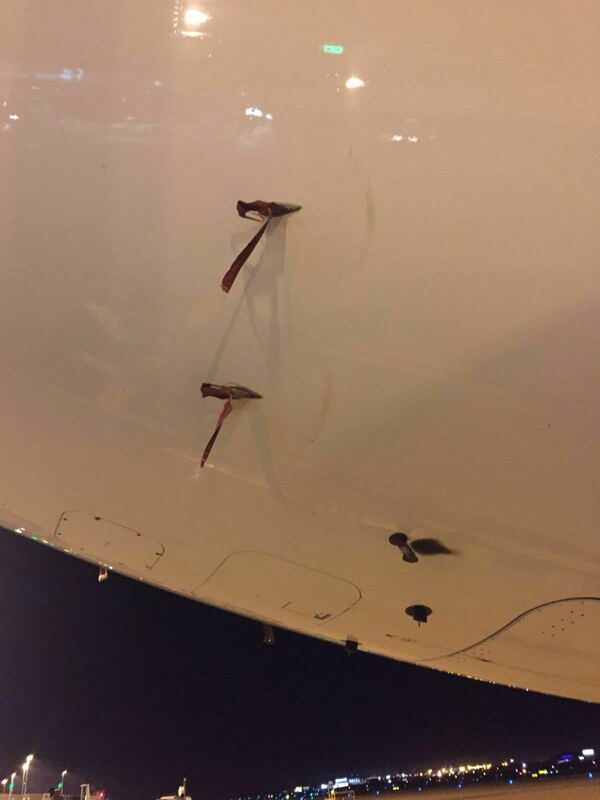 It had an emergency landing ... loss of air speed ... only to find out covers still on over the pitot tubes. One has to question what sort of walk around did the first officer do? It's a basic step from the days of flying school. An MAS A330 took off from BNE with the pitot covers on. Circled for a while then landed fast damaging nose gear. How does this happen- too many questions. Covers are fitted each turn in BNE due to a mud wasp issue. Blocked the Runway for over an hour. Interesting to see the main gear doors dangling down. ( manual extension?). Also both main gear doors appeared damaged. Couple of Pilots standing to attention in an office somewhere, poor devils. How did everybody miss those red tapes? The alternate extension is used in the advent of all three ADRs being switched off for unreliable airspeed hence the doors open and unable to taxi off runway. Ignoring the flight crew issues, what about the ground crew who left them installed or the pushback crew who didn't notice them? Apparently yellow hydraulics were lost as well resulting in no steering after landing. Hence the tug. The pitot covers have been used at least since Etihad declared a mayday after departure a few years back with no airspeed. Nice little mud wasp nest found on inspection. Amazing how quickly they can build a nest. You can see even a third cover. Makes me wonder why they did not abort. How did they check the rotation speed? Beside looking out of the window the airspeed indicator is the most watched instrument on the TO-run. At least for me. To By George: please don't offer sympathy for the "poor devils" - I'm all for forgiveness of mistakes (and learning lessons from them) but this is simply incredible - very basic error. I don't understand why the problem wasn't spotted on the ground, at least during T/O roll. Consequences could be disastrous - remember Birgenair in 1996. Appalling deviation from normal procedures all round and yet another nail in the coffin of MAS's already tattered reputation. Think it may be time to add them to AF as an airline I will avoid permantly. Consequences could be disastrous - remember Birgenair in 1996. The confusion amongst the Birgenair pilots was exacerbated by contradictory warnings (overspeed plus stick-shaker). Even if they had successfully recovered (using sensible pitch/thrust settings) they would have had to contend with the distraction of continued overspeed warnings. It's worth knowing which CBs to pull in the event of false overspeed or stick-shaker warnings so this distraction can be removed. I bet you're all such perfect pilots who never make a mistake. Why are you assuming it was the FOs walk around? The most 'basic' of errors are the easiest ones to make..
What about the turkey that did the pushback-unforgivable really. Last line of defence.......hopeless! Who signed off tech log entry? Echos of the AeroPeru accident in 1996 where the static vents were covered with tape whilst the aircraft was being cleaned. At least this time everyone walked away so lessons have been learnt, with training in unreliable airspeed indication now being given. It still shouldn't have happened though.